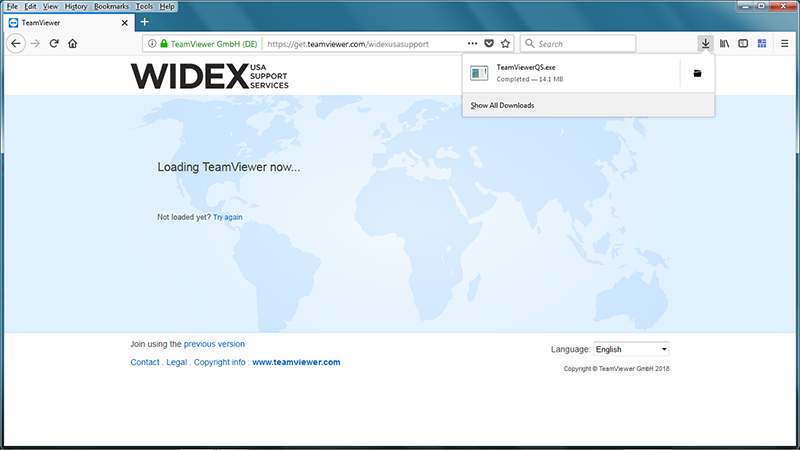 Click on the "Download TeamViewer Remote Assistance" button above to download TeamViewer, save the download to your computer. 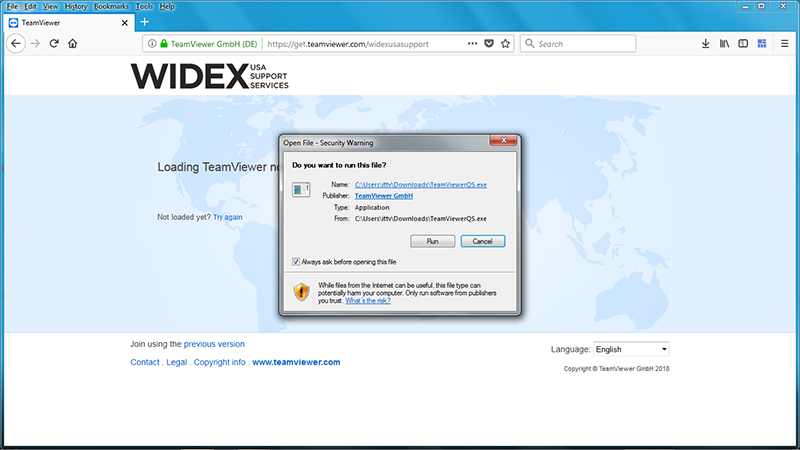 Find the file that was downloaded and double click to install the application. 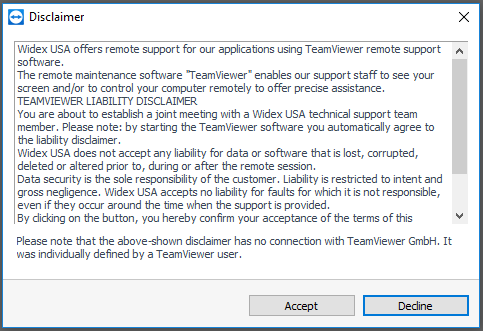 Read the disclaimer and click "Accept". 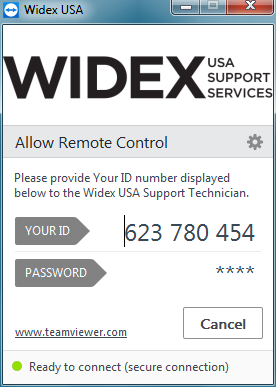 The application will open the following window, please provide your ID number displayed to the Widex USA support representative at 800-221-0188.
mywidexPRO.com is your tool to help grow your business. 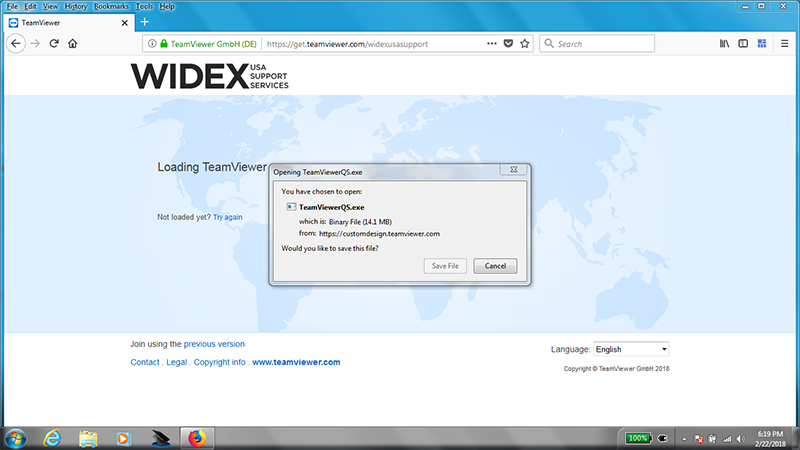 Whether it is to look up information on the most advanced technology in the industry or you are placing your order online, we want to help you focus on the most important thing for your business, your patient. ALL Rights Reserved © Copyright Widex USA Inc.